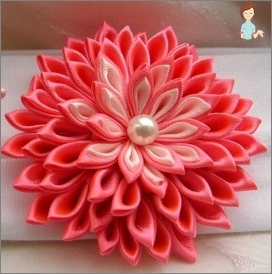 Own-made flowers from the ribbon - thisA great way to decorate clothes and interior. If you consider that the finished product can have different sizes and styles, then it can be decorated with children's rubber for hair, as well as clothing, home textiles or even paintings. What can be made artificial inflorescence? 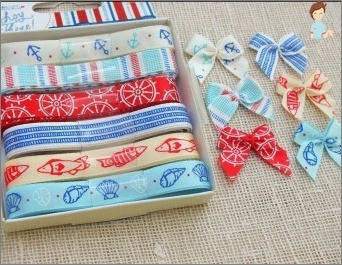 Beginner needlewomen are sure that, except as, from the satin ribbon, the desired shape will no longer come from any other material. Velvet braid, from which it is customary to make small decorative buds, which then decorate brooches, handbags, shoes and other haberdashery. 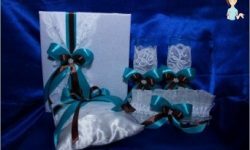 Of course, the most popular and affordableThe material is still satin ribbons, having a different color solution, density and width. Finished handicrafts are pleased with a noble silky shine, unusual and graceful, although they are made in two counts. Some needlewomen connect individual elements with special glue, while others need a needle and thread. On the back of the craft, you need to tie a tight knot, and hide the ends of the ribbon in it. 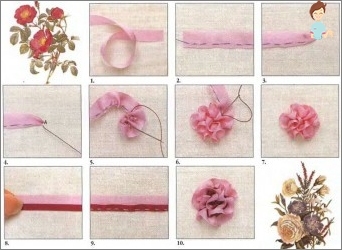 This is the simplest version of how to make a flowerFrom satin ribbon. 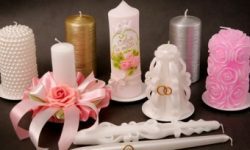 To make the product more magnificent, you need to take a longer cut of material, and to make it wider, you need to choose wide ribbons. And remember: the stiffer the base, the more distinct the petals and the flower itself will be. Scissors and buttons, which will mimic the core of the flower. The flower is put under the press so that it becomes flat,Then in the middle of the glue drips a few drops, and they are attached to a small decorative button. 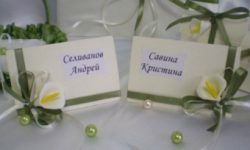 To create a more interesting and designer craft, the core can be decorated with pearls, a scattering of beads or a lot of tiny buttons of different colors. 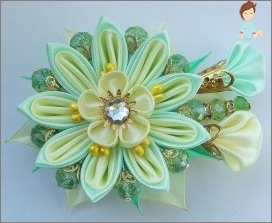 Now we make a big and chic flower from a satin ribbon, which can become the basis of an artificial bouquet, a decor for a hairstyle or home textiles. 1.2 m of satin base, 4 cm wide. The previous step should be repeated until the end of the ribbon, and the last fold at the end. All the leftovers are filed, and the rose is ready. As already mentioned above, such a flower can becomeThe basis for an artificial bouquet. To do this, you need to hide the end of the wire in its core, wrap it with the material of the desired color, weave the leaves and assemble the desired composition. Make sure that the length of the stem is proportional to the circumference of the color itself.